We're all aware of what rally is. We've seen it on television and many of us have played the videogames. But much like a concert, nothing really compares to actually being there. So with a full tank of ($4.95 a gallon!) gas we headed up into the mountains to the 2013 Cochrane Winter Rally to see it firsthand. 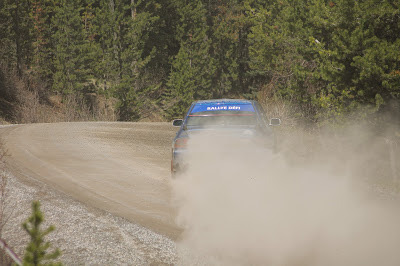 The Cochrane Winter Rally was actually supposed to be held in winter (radical, I know) but setbacks with insurance pushed the race back until late May. Though not very wintry, it was a thrill to watch these cars spit gravel and fire. If you think about it, rally is really a terrible spectator sport. These things happen way out in the boonies with hardly any infrastructure. If you can find a rock to sit on and a cell phone signal you're doing pretty good. As well, the race takes place over a large area and you can only view a small part of it each stage. Watching circuit racing is like going to a show, watching rally racing is like going camping. So why do people go so far out of their way to watch these things? Well because it's exciting! Few other forms of motorsport allow you to be this close to the action. There's only a thin strip of caution tape separating you from the action; and while it's enough to block a poorly timed camera shot, it does little to protect you from stray rocks. The race cars at the event were neither diverse or pretty. It was plain to see that these cars were tools for carving dirt roads. 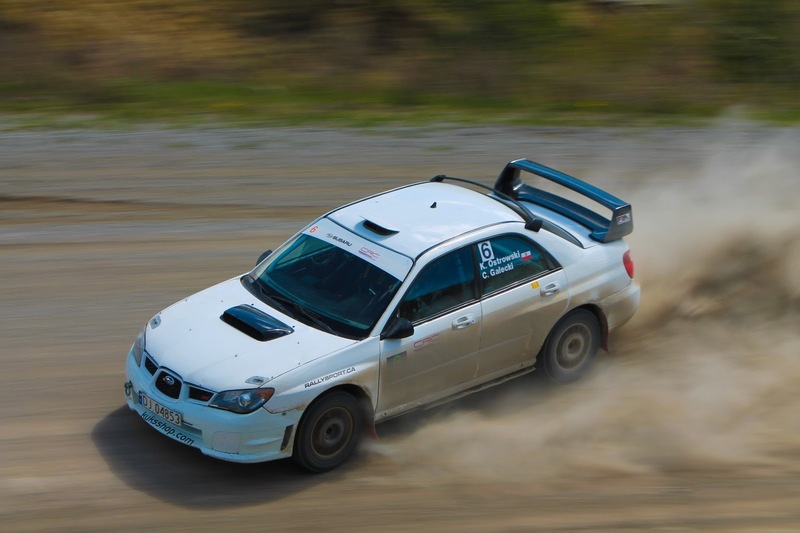 Function is it's own aesthetic when it comes to rally cars. Some look good, but none are built to look good. And though it was too fast for the camera, this 1971 Corolla couldn't help but look good as it slid through the turns. Looks like a ton of fun to me! At the end of watching a rally, you feel like you've completed an adventure. It's far more rewarding than sitting in the stands to watch other forms of motorsport. It was a great way to spend an afternoon under the big Alberta sky.